From a top CSU Research Competition presentation to an academic excellence award, PSYCD students and faculty have been recently recognized for their outstanding accomplishments. Professor Garcia gave a lecture on biases at TEDx Cal Poly. 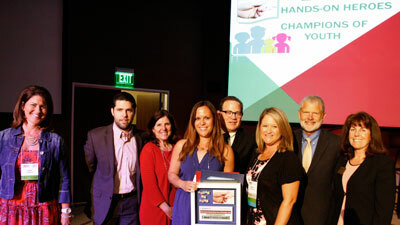 PSYCD Preschool Learning Lab master teacher, Kari Applegate, was a recipient of the San Luis Obispo County's 2016 Hand-on-Heroes Award. The award are given to individuals in our community whose outstanding contributions make a positive difference in the lives of young children. Dr. Julie Garcia is currently serving as a member of the Editorial Board for Cultural Diversity and Ethnic Minority Psychology and a member of the Society for Personality and Social Psychology (SPSP) Diversity and Climate Committee. Dr. Taylor Smith has had four journal articles accepted to a special issue of Behavior Genetics on "Genetically Informed Approaches to the Study of the Prenatal Environment." Under the supervision of Dr. Carrie Langner, Maddison Montana and Michael Kramer have been funded through the Baker/Koob Endowments. Their p‪‪roposal entitled “Manifestation of implicit biases upon attending a non-racially diverse university” has been selected for funding. The purpose of this study is to investigate the relationship between implicit racial bias and exposure to settings that vary in student and faculty racial diversity. It will have longitudinal and experimental aspects that test changes in implicit bias in response to racial diversity. The latest issue of Self & Identity includes an article by Professor Julie Rodgers and her colleagues titled, "The power of affirming group values: Group affirmation buffers the self-esteem of women exposed to blatant sexism." Congratuations to the following PSYCD students who were selected to compete at the Cal Poly level for the CSU Student Research Competition. Read Professor Shawn Burns' Latest Blog for Psychology Today! We usually expect our gifts and help to strengthen our relationship . But that doesn’t always happen because good intentions aren’t enough for successful helping and giving. Professor Burn writes about when good intentions are not enough. 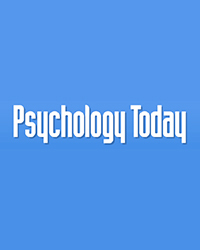 Read it at Psychology Today!